Following are funding resources managed by UMOR. For a comprehensive, university-wide listing of funding opportunities, visit the U-M Find Funding Portal, hosted and maintained by the U-M Library with content from all units, schools, and colleges. 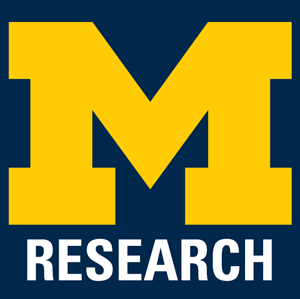 This page provides information on internal U-M Office of Research (UMOR) resources for finding funding. 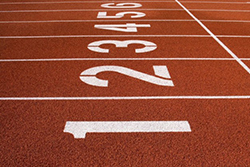 The process of finding funding is incumbent upon the research project team. There are resources to help you. For a more comprehensive, one-stop shop for funding opportunities (internal and external) please visit funding.research.umich.edu. Business Engagement Center - If you're working with a sponsor from the corporate or industry sector, contact BEC. Foundation Relations - If you're working with a non-profit foundation, find out if that sponsor is on the list of managed foundations and learn how to work with them. See full list and details of U-M Office of Research's (UMOR's) International Partnerships. UMOR offers various UMOR-managed Faculty Grants & Awards to support research, scholarship, and creative activities. Areas for support include: Artistic Productions and Performances, Bridging Support, Equipment for Core Facilities, Publication Subvention, Research Maintenance, Small Grants for Major Conferences, and Small Scale and Preliminary Projects. The Office of Research and Sponsored Projects (ORSP) Communications area produces a monthly Funding Newsletter to promote, in particular, university-wide internal funding opportunities. For maximum engagement, please follow these guidelines to be considered for inclusion. We publish at the beginning of the month, so please send the following at least one week before the calendar end-of-month. Learn more about how to submit your internal funding opportunity. At University of Michigan (U-M) we typically send out a Call for Intent to Submit communication to ensure there is interest before scheduling and announcing a Limited Submission competition. UMOR staff (umorlimitedsubmissions@umich.edu) mine opportunities and promote them in this communication and ask interested parties to reply if there is interest. Do either UMOR or ORSP cover tuition refunds? No. Tuition refunds are no longer covered by UMOR or ORSP. Tuition refunds for sponsored projects are the responsibility of the employee's unit. Foundations Relations (requires Kerberos login) The University of Michigan Foundations Relations Office is available to help U-M faculty and staff search for foundation funding. For questions on Limited Submissions, contact Tricia McCain Ebright, (triciamc@umich.edu) at (734) 936-3933. For questions on UMOR-managed Faculty Grants and Awards, contact Tricia McCain Ebright, (triciamc@umich.edu) at (734) 936-3933. For questions on working with private sponsors from Industry, contact the Business Engagement Center. For questions on working with Foundations, contact Foundation Relations.